The UK’s largest electric vehicle charging network, POLAR, now has 70 rapid chargers within the M25 to provide quick and convenient charging for electric vehicle drivers, particularly those without off-street parking, and those driving in to and out of the capital. The POLAR network, which is run by Chargemaster, the UK’s largest provider of electric vehicle charging infrastructure, now has more rapid chargers across London than any other operator, as well as hundreds of destination chargers, including many on-street locations. 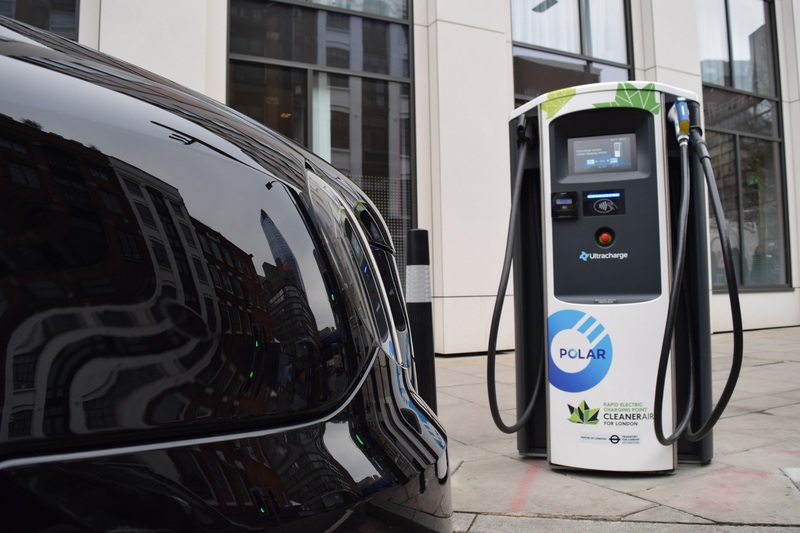 The expansion of the POLAR network across London means more zero-emission mileage for electric vehicle drivers, reducing pollution and helping to improve air quality. As well as reducing tailpipe emissions, the electricity used to charge vehicles on the POLAR network is certified by OVO Energy as 100% renewable. Chargemaster has worked with strategic partners to expand the POLAR network across the UK, including car park operator Q-Park, the IHG and Accor hotel groups, and intu shopping centres. Members of the POLAR network now have access to 18 rapid chargers within two miles of the M25, covering half of all junctions, and a maximum of one junction from all service areas on London’s orbital motorway. In London, Chargemaster has played a critical role in the Transport for London rapid charging network, which particularly supports drivers of the new electric taxi from LEVC. Chargemaster’s Ultracharge rapid chargers installed as part of the TfL rapid charging network are supplied with renewable electricity from OVO Energy.